Fleet Farm is planning a new store at the Sanford Sports Complex. 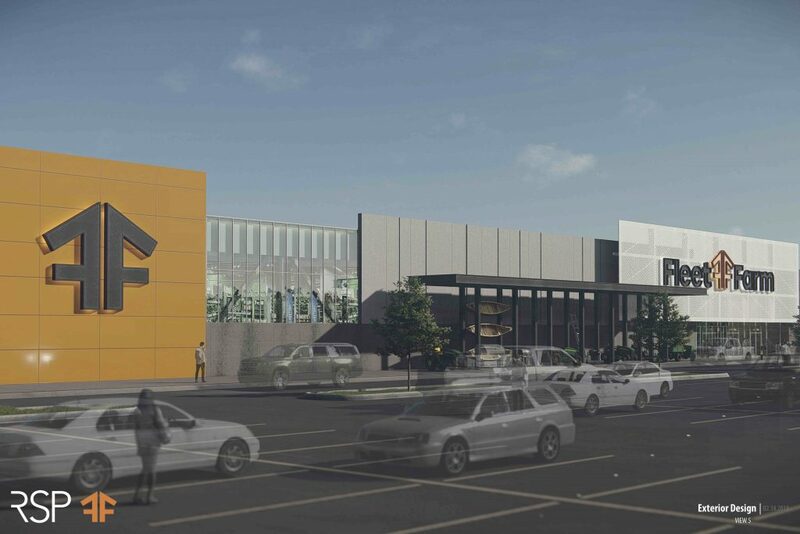 At 185,000-square-feet, it will sit on the southeast corner of Interstate 29 and Benson Road and offer a broad assortment of merchandise including fishing and hunting products, auto parts, farm and pet supplies, home improvement and home living goods, clothing and footwear, toys and food, plus services like gas, car wash and auto repair. Fleet Farm, Which is based in Appleton, Wisconsin, has 37 store locations in Iowa, Minnesota, North Dakota and Wisconsin. Since being acquired by private equity firm Kohlberg Kravis Roberts in 2016, the chain has been focused on growing its store presence. 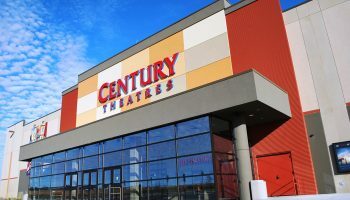 “At a time when anchor store growth is extremely limited, this is a retailer that is finding huge success in our size market. And this is a great location, with ease of access to I-29 and I-90 and our ag-based trade area. The 400-acre Sports Complex has plenty of room for additional retail, and an anchor like Fleet Farm will help attract it,” Blount added. “We are excited to officially welcome Fleet Farm to Sioux Falls and the Sanford Sports Complex. 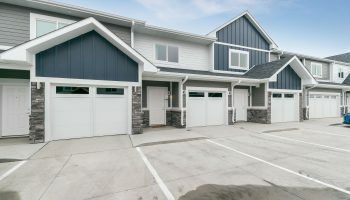 Having the amenities that Fleet Farm provides will be a great convenience to thousands of annual visitors of the Sports Complex, travelers on I-29 as well as area residents. This is the type of anchor business we’ve been working collaboratively with Lloyd Companies on and we anticipate this will drive additional growth throughout the complex,” said Matt Ditmanson Director, Business Development Sanford Sports Complex. Site work on the 25-acre property has started, construction will begin in June and the store is scheduled to open in the Spring of 2019. 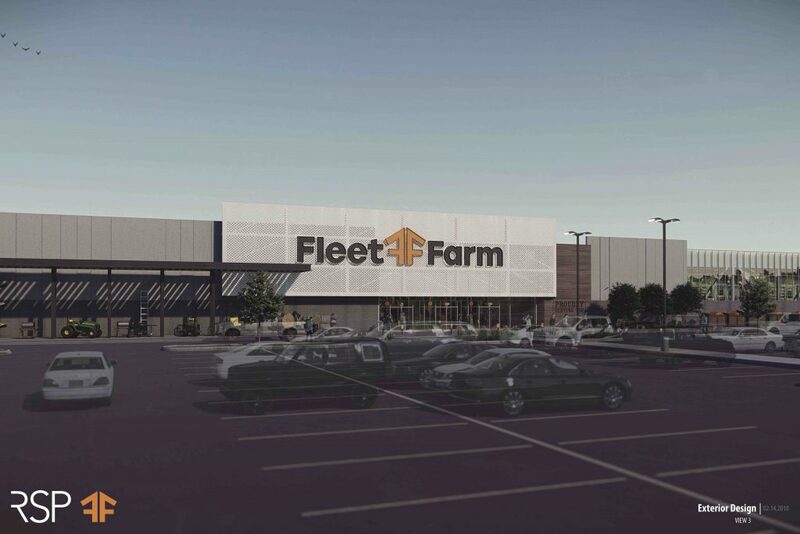 “Lloyd Construction is the contractor, and Lloyd Companies has entered into a preferred developer role with Fleet Farm,” said Jake Quansey, vice president of real estate investment. Lloyd plans to broker leases, line up ownership, develop sites and oversee construction on stores in multiple states annually. 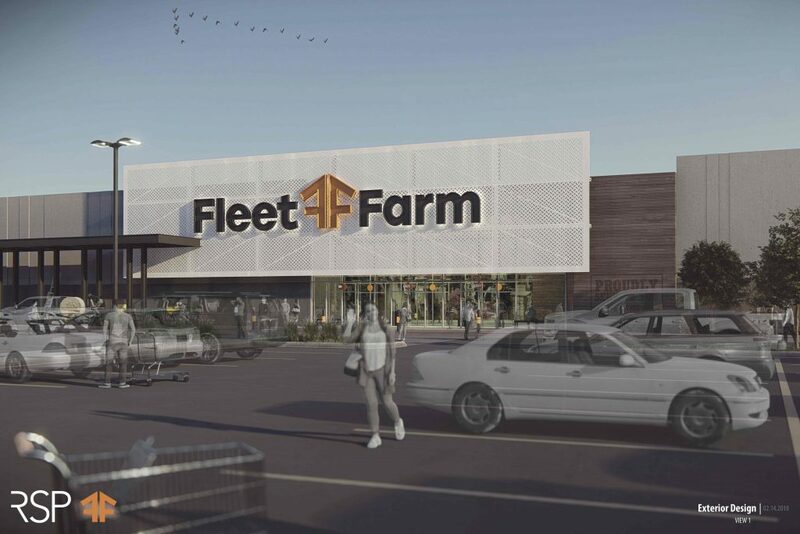 “The Sioux Falls Fleet Farm will feature more modern exterior finishes, which will include clean structural design elements, more glass and increased natural light. We’re excited to be part of that new push as they modernize what they’re doing,” Quasney said.